Give fun, friendship, and support to hospitalized children and their families when they need it most. 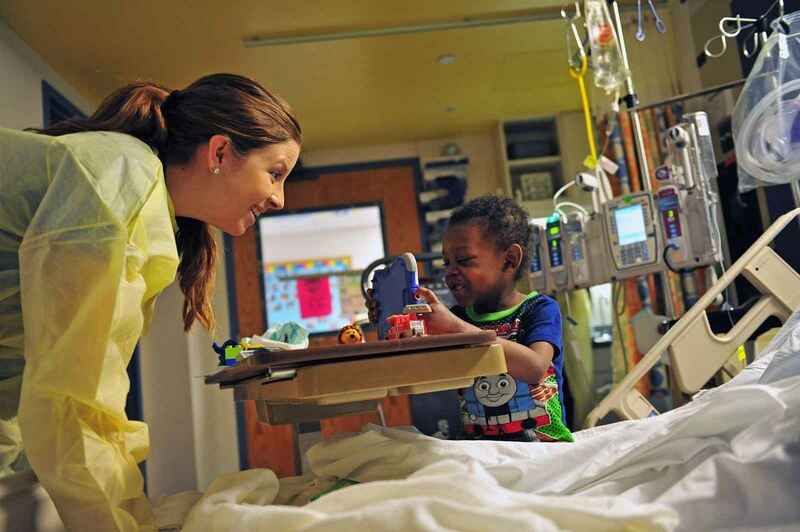 You can bring smiles to hospitalized children. Your donation will help train caring college students to provide fun, friendship, and support to children battling long-term illnesses, such as cancer. Together, we can help children and families make happy memories while in the hospital. Through our Hospital Buddy Program, students visit on a weekly basis and engage children in hospital playroom and at bedside, in arts & crafts, reading, games, and more. We also provide Comfort Kits, filled with toiletries, knitted caps, cozy socks, and other items that parents and children might be missing from home. Collectively, these small acts of kindness and care have a big impact on patients' experience. Your support provides comfort to hospitalized children and their families and lets them know they are not alone in their fight. This experience teaches pre-med students the importance of empathy and creating strong patient relationships. You can help foster compassionate future healthcare providers. Will you join us in changing lives? In memory of Alan Robinson, loving husband of Tami Robinson. Grateful to be able to support this amazing organization.